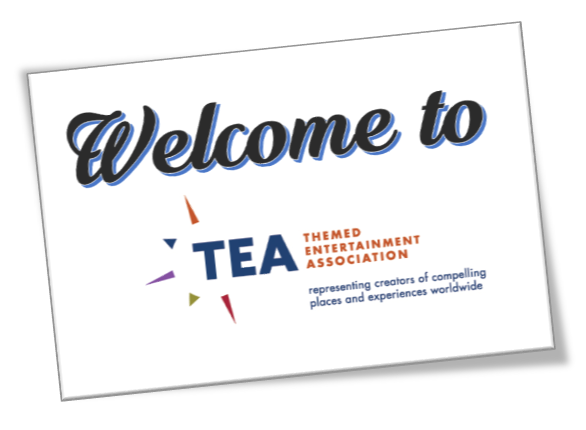 It was another great year for the Themed Entertainment Association (TEA) and for the industry that TEA serves - visibly so as the international community came together in record numbers at the annual IAAPA Attractions Expo in Orlando in November 2017. 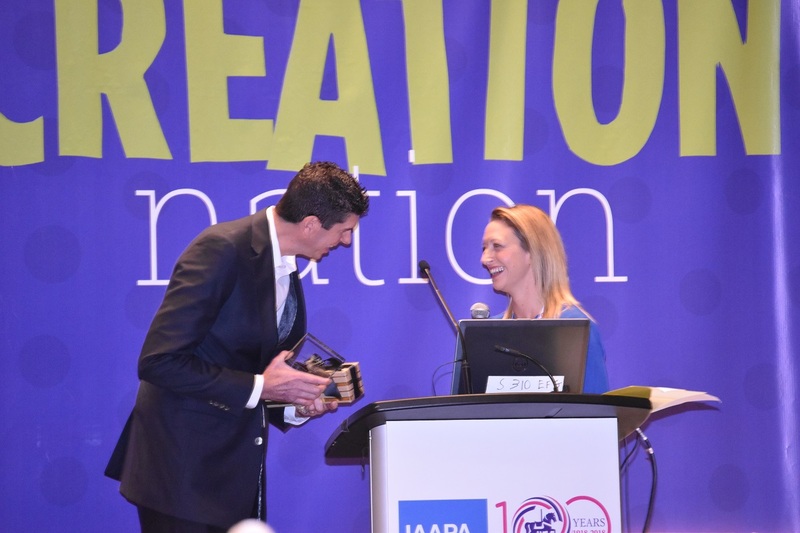 IAAPA, which is marking its centennial year, reported 39,000 registered attendees for the 2017 conference and trade show, including 25,300 qualified buyers, reflecting a 12% increase over last year. 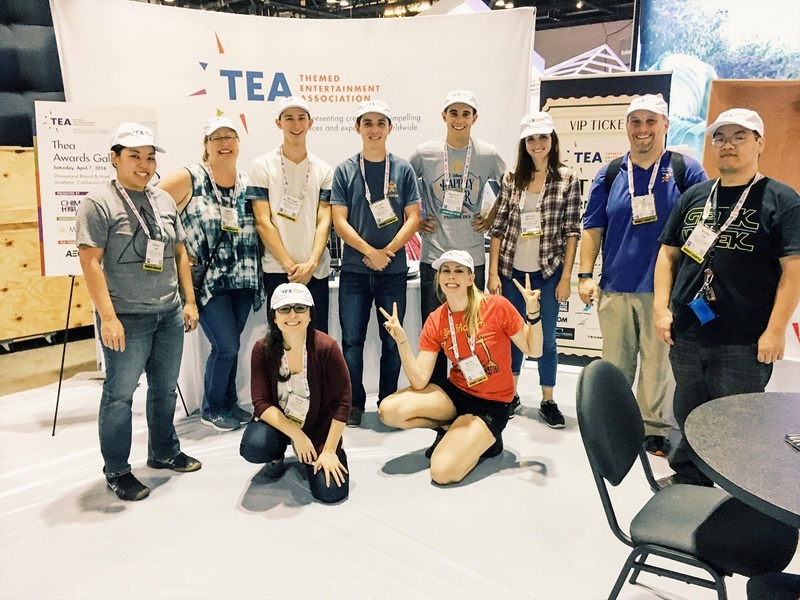 TEA makes IAAPA Orlando its year-end headquarters for certain key announcements, meetings and events, while also participating in the IAAPA expos in Europe and Asia. For its own part, TEA also had some record numbers and firsts to report for year 2017, such as: Our association now boasts 1,500 members in 42 countries. 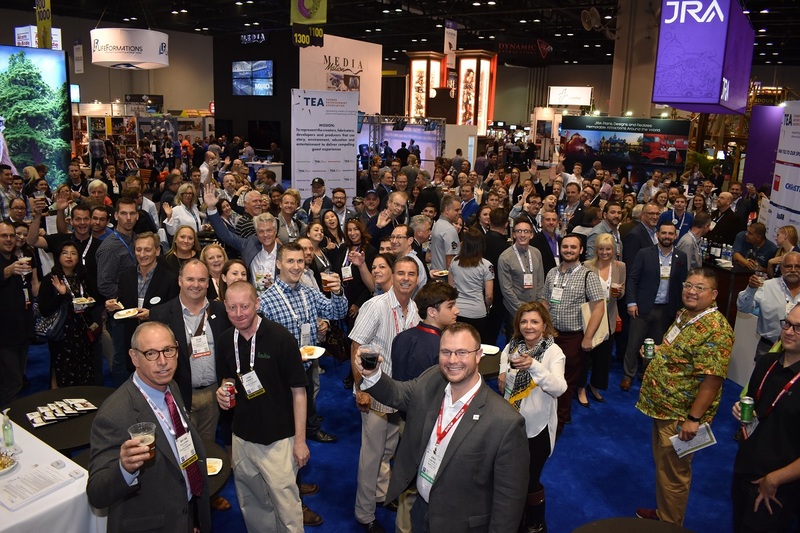 The TEA International Mixer during IAAPA hosted 2,000 attendees. There were two TEA President's Forums in November, offering unique business development opportunities to members. And the TEA SATE conference extended its international reach, convening in the US, Europe and Asia. Photo at top: TEA sitting president David Willrich announces the new slate of TEA Thea Awards recipients, to cheers from TEA COO Jennie Nevin, TEA event producer Tammie Richards and a crowd of many others. Photo for TEA by Martin Palicki. Michael Breen, Bradley Bertola, Grace Navarro, Joe Fox, Brian Tran. Front row: Sofia Ouhri, Marie Kingsley. Many thanks to all! TEA could not achieve all that it does without significant support - from members, sponsors, leadership, volunteers and staff. Warm and sincere thanks to all who helped make 2017 a success. TEA Presidents Forums - Universal and Wanda - On Nov. 12, 2017 there were two special gatherings for TEA members to connect with work opportunities and speak to representatives of major operators. At the forum for Doing Business with Universal, executives of Universal Studios spoke about upcoming projects - particularly Universal Beijing - about their supplier needs, and were available to answer questions. Universal executives participating were Mark Woodbury, Vice Chair, Universal Parks & Resorts and President, Universal Creative; Steve Blum, SVP Engineering and Safety; Brawner Greer, Business & Legal Affairs at Universal Studios; Dan Memis, SVP Finance and Administration at Universal Creative; Mike Harrington, VP, Engineering and Safety at Universal Studios; and Paul Osterhout, who is VP at Universal Parks and Resorts and sits on the TEA International Board. 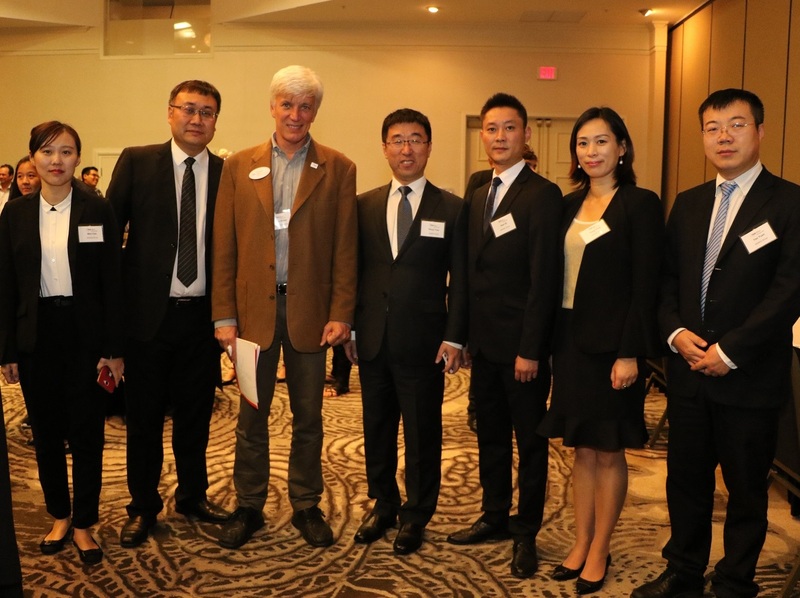 Later the same day, at the forum on Doing Business with Wanda CTI, TEA members had the opportunity to meet with directors of Wanda Group and learn about a dozen upcoming projects set to open between now and 2024 in need of vendors (see photo caption for names). 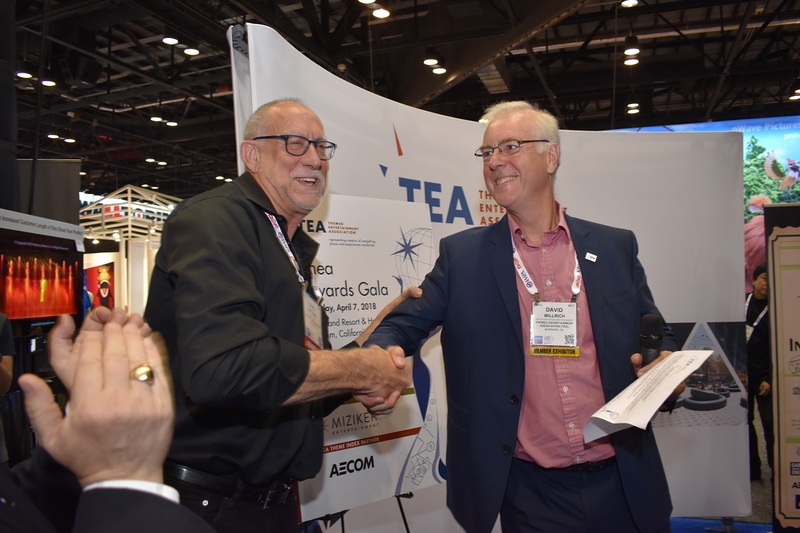 TEA Immediate Past President Steve Birket of Birket Engineering has been the chief agent in conceiving and organizing the TEA President's Forums, which began in 2015. 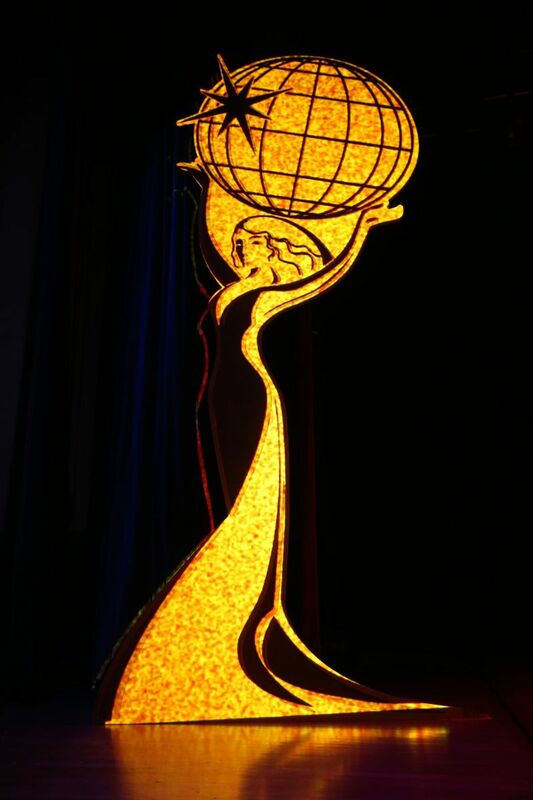 Photo galleries: Universal forum photos; Wanda forum photos. Photo for TEA by Martin Palicki. 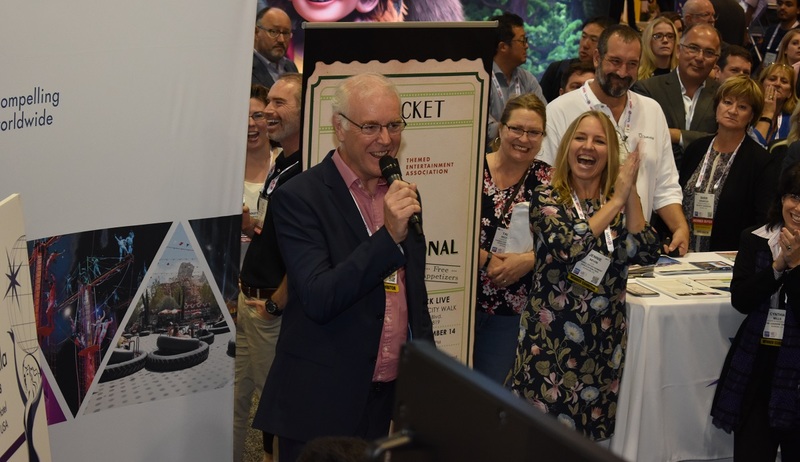 TEA Thea Awards press conference, Nov 14, 2017: There was plenty of excitement at the TEA booth at the 2017 IAAPA Attractions Expo in Orlando as the community gathered to hear the first announcement of the new TEA Thea Awards recipients, followed by congratulations. 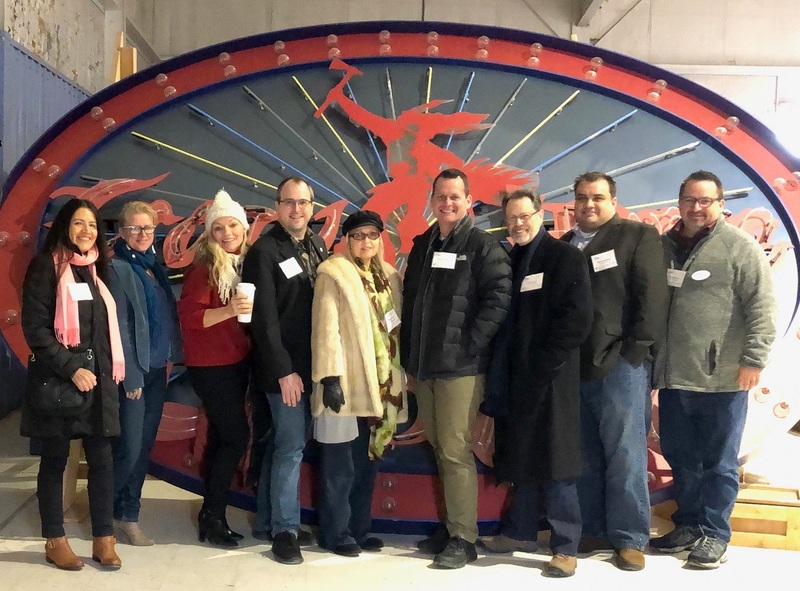 Headliners: Cedar Point was named to receive the Thea Classic Award, and Phil Hettema of The Hettema Group will be honored with the Buzz Price Thea Award for a Lifetime of Distinguished Achievements. 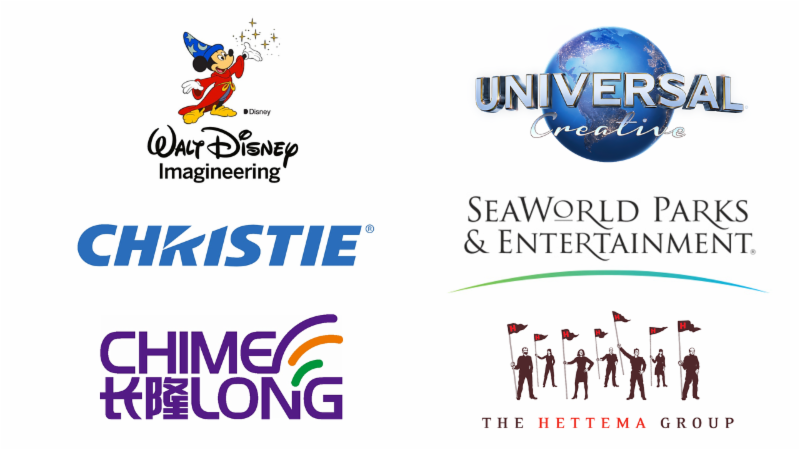 The honorees announced on Nov 14 also include Pandora – The World of Avatar, Walt Disney World Resort, Orlando; Derren Brown’s Ghost Train: Rise of the Demon, Thorpe Park Resort, England; and Symbolica: The Palace of Fantasy, de Efteling, Netherlands. 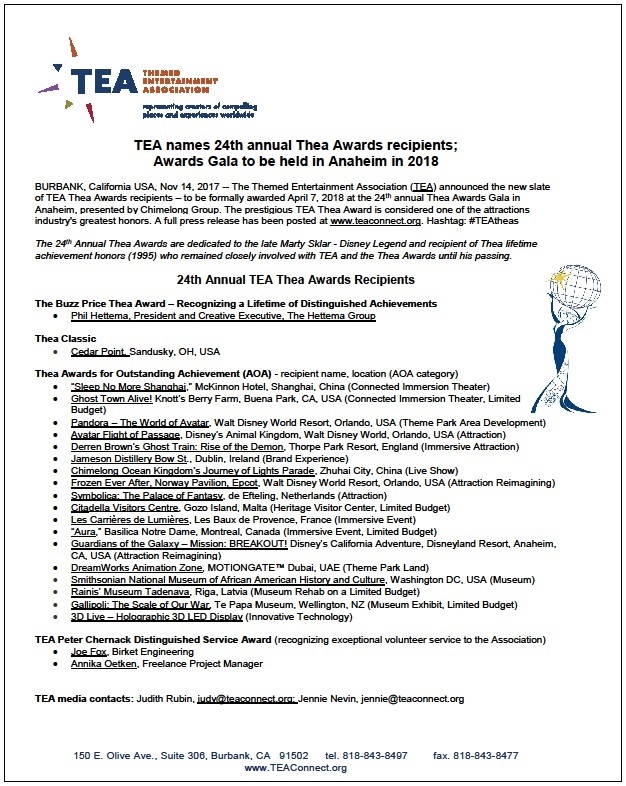 The Thea Awards will be formally presented at the 24th Annual TEA Thea Awards Gala, presented by Chimelong on April 7, 2018, at Disneyland Resort in Anaheim, CA. The 2018 Gala producer is Ryan Miziker and Miziker Entertainment. Tickets to the Gala will be on sale around the end of 2017. Read the official TEA press release. See the photo album. received record attendance of 2,000 people. 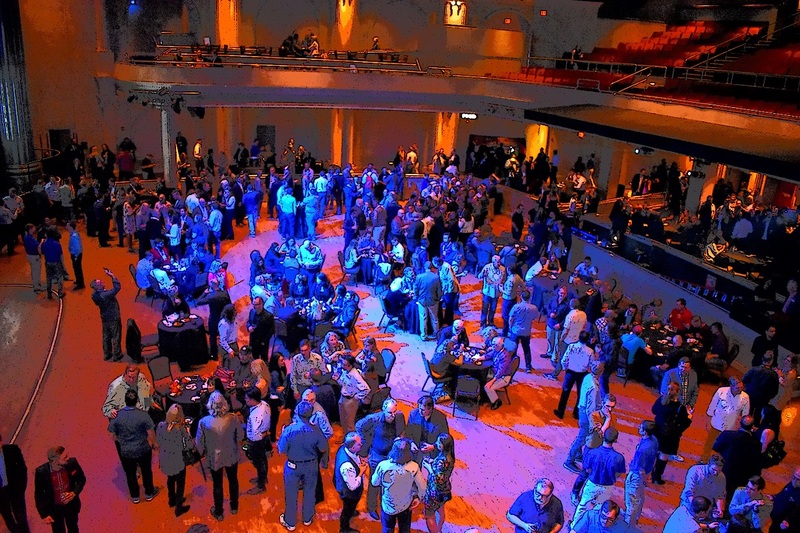 TEA International Mixer - Some 2,000 people mixed, mingled, enjoyed refreshments and caught up with colleagues at the annual TEA International Mixer at IAAPA 2017 in Orlando, on Nov 14. The gathering took place at Hard Rock Live at Universal CityWalk. TEA sitting International Board President David Willrich of DJ Willrich Ltd. addressed the group and thanked the sponsors and acknowledged all who helped make the event a success and the best-attended such event to date (the 2016 mixer welcomed 1700 people). See the photo album. Scott Gill, outgoing president; Melissa Ruminot, incoming. the first time SATE convened in three locations: the US, Europe and Asia. TEA Western Division President Tricia Rodriguez rallied members to attend the annual Holiday Bash in Los Angeles. The TEA Europe and Middle East (EME) Division has a new president - Matt Barton of 7thSense Design, taking over from Paul Kent of Electrosonic. 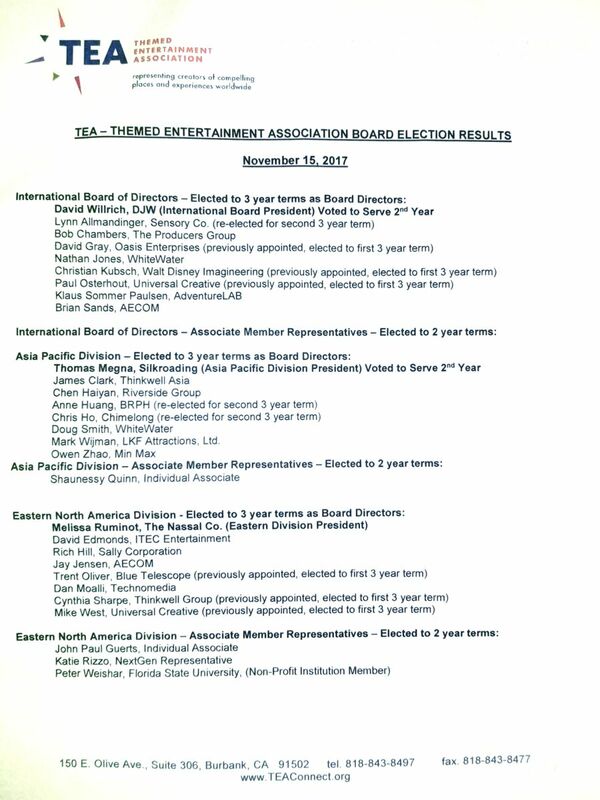 The TEA Eastern North America Division also has a new president - Melissa Ruminot of The Nassal Company, taking over from Scott Gill of ThemeWorks. The Members Meeting was followed by a special educational session to assist Board members in understanding the roles, responsibilities and liabilities of their positions serving TEA. See the photo album. looking to build careers in themed entertainment. The TEA NextGen Initiative began about five years ago and has been very successful. 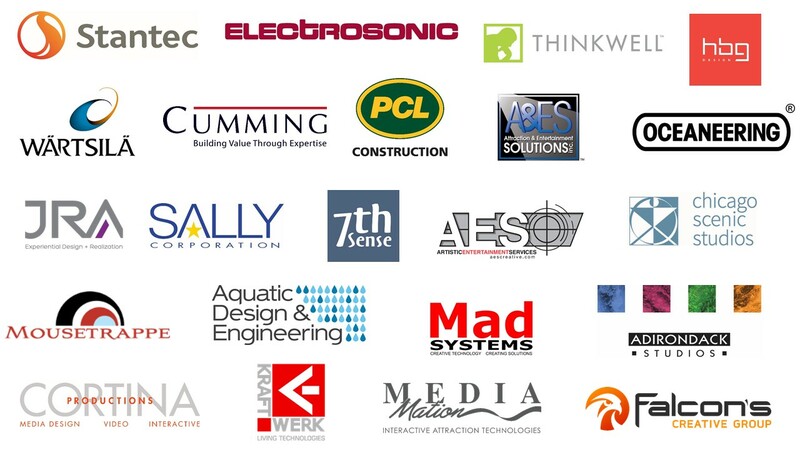 Barco sponsored booth mixer - Many thanks to Barco for sponsoring another terrific networking mixer for TEA members, with drinks and refreshments at the TEA booth at IAAPA Orlando 2017! The turnout was excellent, spirits were high and all were enjoying themselves. See the photo album. Footprints from the Heart, Nov 16, 2017 - This was the sixth year TEA assembled a team for this annual 5k walk/run to benefit Give Kids the World. The enthusiastic TEA team had a good turnout, performed well and raised money for this worthy cause.